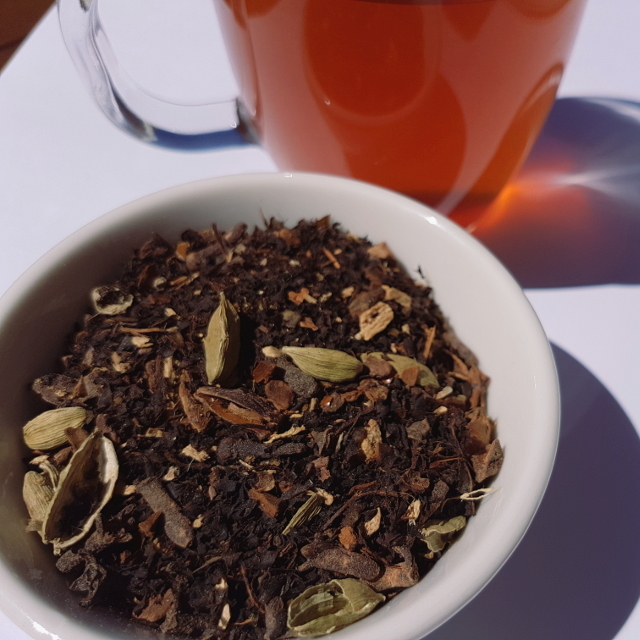 Loose-leaf Links is a feature where I gather together the interesting bits and pieces on sci-fi and fantasy I’ve come across and share them with you over tea. Today’s tea is Daintree Chai, the signature blend of The Tea Chest. It contains star anise (among other ingredients) which gives it a strong aniseed flavour. With December well underway, the SFF community is already gearing up for the next award season. The Nebula Awards are currently open to nominations from SFWA members. If you’re not sure what to nominate, A.C. Wise has a round-up post of some works eligible. The nomination process for the Hugo Awards begins in January. There will be a membership price hike on 2 January, so get in quick if you’d like to be involved! Awards can be super serious business, but they don’t have to be. If you’re into YA fandoms, I highly recommend you head over to Writer of Wrongs and vote in The Shippy Awards. And the results of the 2016 Goodreads Choice Awards have been announced. The World Fantasy Convention is currently seeking programming suggestions. Hopefully, the result will prove better than the programming for this year’s con, which provoked some outrage. The 2017 GUFF candidates have been announced and the list contains some familiar names. The lucky winner will be sponsored to go to WorldCon 75 in Helsinki next year. Speaking of WorldCon, the convention has just released their code of conduct. Also, Crystal Huff has resigned as co-chair of WorldCon. Jukke Halme will continue as solo chair. Crystal Huff shared some excellent thoughts on inclusion at WorldCon. She particularly focuses on bids to host from non-English-speaking countries. Shaheen at Speculating on SpecFic has a post on women sci-fi writers that includes some great recommendations. Ambelin Kwaymullina has a guest post for Justine Larbalestier on being an ally for Indigenous writers. Over at The Future Fire, Su J. Sokol hosts a discussion on polyamory in SFF. Cat Sparks and the NSW Writers’ Centre will be running their Speculative Fiction Festival on 22 June 2017. They’re currently calling for program items and panel members. Submissions close 29 January. Walker Books are running open submission days on the first Wednesday of every month. Unfortunately, December’s is already over. However, if you have a finished YA or middle-grade manuscript, January isn’t far away! Be sure to check the guidelines. The Lane of Unusual Traders is also open for short story submissions. Stories must be set in a shared universe and will be accepted until February. A reminder that the Book Smugglers will be closing their submission period at the end of the year. They’re looking for stories of 1.5K to 17.5K words on the theme of Gods and Monsters. Mary Robinette Kowal discusses the difficulty in promoting books during the week of the US election and its aftermath. In her post she invited authors–and debut authors in particular–who had work out that week to promote their books and stories in the comments thread. The Book Smugglers have announced four new novellas for 2017, including a new offering from Tansy Rayner Roberts. They also host a great article from Seanan McGuire on where to start with portal fantasies. The Australian Women Writers reading challenge celebrates 5 years and asks whether it has made a difference. You can also sign up for 2017. Thoraiya Dyer discusses her previous day job as a wildlife vet. Wonderful links as always! I’ve bookmarked the Thoraiya Dyer one to read later — I loooove hearing about what it’s like to have all these different jobs. Thoraiya’s article was pretty awesome and I can’t wait for her book to come out next month!